We often hear about celebrities or politicians tweeting, but for tech-savvy teachers, Twitter has become a space for learning, exploring and sharing. Twitter is a unique type of social media that limits user’s posts to only 140 characters per tweet. 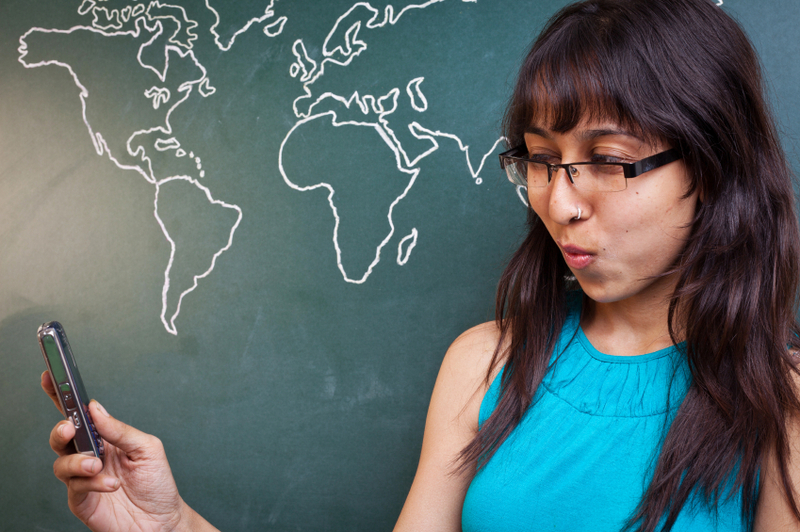 It doesn’t seem like enough space to share deep and meaningful thoughts on the teaching profession but many educators are using this medium to connect with like-minded professionals around the globe. Twitter let’s users share their thoughts from Smart phones, computers and tablets. Since this platform is easily accessible on a wide range of devices, Twitter has become a natural type of social media for teachers on the go. During lunch, on the weekends, or anytime of day, teachers can swipe through the tweets of people they follow. It’s easy to find organizations that share educational content and use the search function to find topics that interest you like iPads, middle school math, or a news story. You can share links to articles or websites, tweet a picture, or pose a question. Lots of teachers are joining Twitter to expand their personal learning networks outside of their school. If you have any upcoming education events on your calendar you’ll probably notice that speakers and workshop facilitators have a Twitter handle they share at the beginning of their presentation. Educators are tweeting from personal and professional accounts to share inspiring blog posts, thoughts on the professions, and ideas for lesson ideas in the classroom. Using hashtags like #edtech for educational technology or #flipclass for flipped classroom, they are able to organize their thoughts around a specific theme and make it easy to search for tweets on a particular topic. You can add a hashtag at the end of your tweet or search different #hashtags. Many conferences have a #hashtag dedicated to their event so everyone tweeting during the day can organize their thoughts and share their experience. How do I connect with other educators? A great way to connect with teachers is to participate in a Twitter chat. At a predetermined time, participants will log on to Twitter and search for a hashtag dedicated to the chat. They’ll see questions posed by the chat moderator and they can respond with their own thoughts or just read the answers given in other tweets. Brad Currie (@bcurrie5) is a school administrator in New Jersey and cofounder of #satchat which takes place on Saturday mornings. He says that, “Twitter chats, and hashtags in general, are a great source of best practice information for educators. The ability to share ideas, connect with like-minded individuals, and have access to web based resources 24/7 through a particular hashtag has been a game-changer in the field of education.” Twitter chats are a great way to learn about trends in education and find resources to bring back to your classroom. Have you tried using Twitter to expand your personal learning network or connect with other teachers? Share your experience and Twitter handle below!